There is no shortage of quality releases this week as it's the holidays and you'd expect nothing less from Warner Bros. 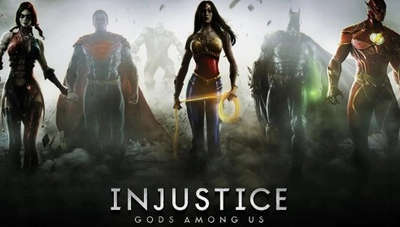 The latest version of Injustice Gods Among Us (hack) has landed on the Play Store and is now available for your Android devices (all GPUs). Fight for your life in this brand new Christmas update! If you've played Mortal Kombat X, or WWE Immortals, then you're familiar with the mechanics of these types of games. You fight, collect cards, and try to be victorious. But that's not an easy task to accomplish, as you need skills, and quick fingers on the touch screen to have any chance of winning a 3-on-3 combat. Play Injustice Gods Among Us modded with unlimited money and see if you can defeat your nemeses. Scroll down to grab the APK. If you encounter any problems while playing using this Mod please comment so that we can assisst you! By the way, DC Comics greatest heroes and super villains are all present in this game. You have such icons as: Superman, Batman, Wonder Woman, The Joker, Flash, Bane, Green Arrow, Doomsday, and much much more. Starting on December 11th, running through New Year’s Day, login to Injustice daily to receive free CHARACTERS, GEAR, POWER CREDITS, and MORE! Install Apk, use Google Play's obb data files, and play!